This recipe was introduced by my friend, she said you must definitely try it. I absolutely loved this recipe. When I found it the first time I felt it was a very lengthy process. But I could make it within half hour. This has the goodness of both spinach and coconut along with dal. Do give it a try. This is adapted from Palakkad Chamayal blog. Pressure cook toor dal for 4 to 5 whistles and leave it for the pressure to subside. Clean spinach and roughly chop. Boil the spinach leaves with very little water for 3 to 4 mins in high. Allow it to cool. Next in a blender make it a fine paste. Set aside. Heat oil in a pan, when hot add cumin seeds, red chili and urad dal. When urad dal turns little brownish, stop and cool down. Now add the above with coconut and grind to a fine paste. Now open the pressure cooker and mash the cooked dal well. Add the coconut paste with urad dal. Boil for few mins, add salt and mix well. Heat another teaspoon of oil and add mustard seeds, asafoetida. When they splutter, stop and mix with the above. 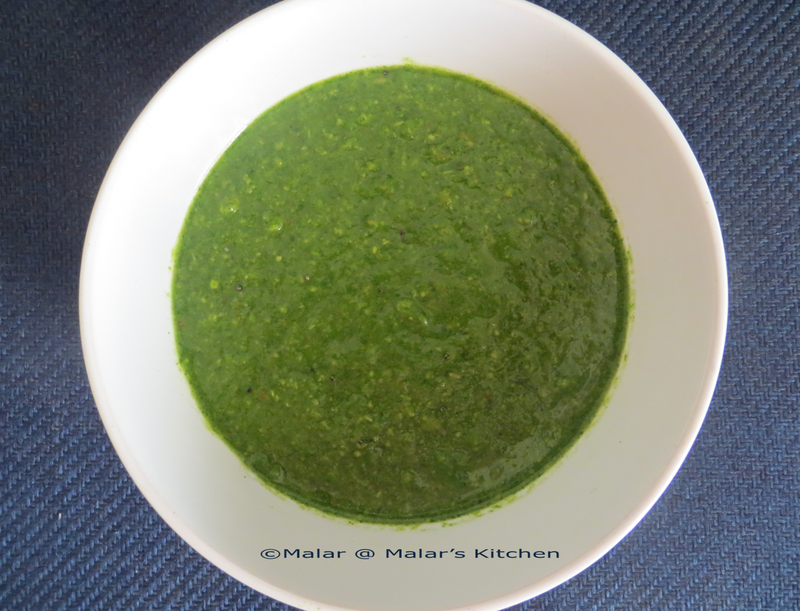 Tasty molagootal is ready, serve with either rice or roti.